Fiat 500 Running Costs, MPG, Economy, Reliability, Safety | What Car? The 500 isn’t as cheap to buy as many of its rivals, many of which have more doors and more standard equipment. Discounts are available, but are smaller than you can expect on any of Fiat’s other models due to high demand. However, the flipside of the 500’s strong desirability is that it will hold on to its value better than many of its peers. The two-cylinder Twinair petrol will tempt those searching for low running costs. However, although the low CO2 emissions make for cheap company car tax bills, you’ll be disappointed by the real-world fuel economy. We’d recommend the much cheaper 1.2 petrol to the vast majority of buyers. If you're interested in the hot Abarth 595 model, click here for our bespoke review. You can spend an awful lot of money on a Fiat 500, but it’s the cheaper trims that make the most sense. The cheapest of which is Pop, which comes with electric front windows, remote central locking and electrically adjustable door mirrors. Air-conditioning is notable by its absence, though, as are alloy wheels (steel rims with plastic trims come as standard). If you want a few more luxuries, consider Lounge trim. This brings a 5.0in touchscreen (see our infotainment section), a leather-wrapped steering wheel, rear parking sensors, climate control and some extra chrome detailing. Of course, whicever trim you settle on, there's also a myriad of personalisation options to make your 500 stand out from the crowd, from a huge palette of paint colours and a big selection of alloy wheel designs. 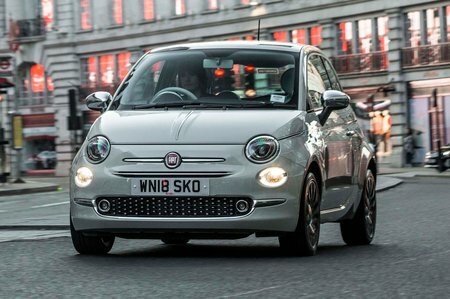 Although the Fiat 500 didn't itself feature in our most recent reliability survey, the Panda on which it's based did – and it scored below average marks for dependability. However, Fiat as a brand bucked that trend and finished a credible 14th out of 31 manufacturers, ahead of the likes of Peugeot and Citroen. 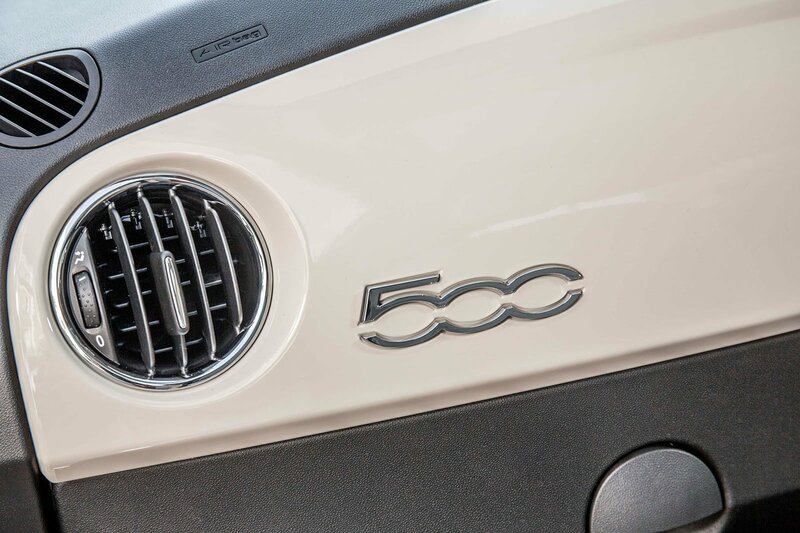 Like all Fiats, the 500 comes with a two-year manufacturer warranty and plus a further one-year dealer warranty. Mileage is limited to 100,000 during that three-year period, unless you plan to use the car for hire or reward (i.e. to rent it out or use it as a taxi), in which case the mileage limits drops to 60,000. 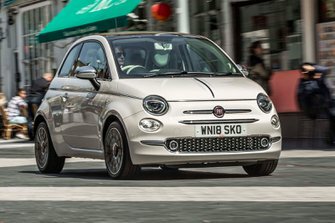 All models have seven airbags as standard – including a driver’s knee ’bag that’s a relatively unusual feature in this class – but the Fiat 500 was awarded just three stars (out of five) in its most recent Euro NCAP safety appraisal back in 2017. The score for child occupancy protection was particularly concerning. There’s no option of a city braking system, which many rivals offer, but all versions come with stability control – an important safety aid that helps prevent you sliding off the road in slippery conditions – and a tyre-pressure monitor. Disappointingly, though, no version comes with an alarm; if you want one you’ll have to pay extra and have it fitted by your dealer. This explains the poor ratings awarded by Thatcham for the 500’s resistance to being stolen or broken into.